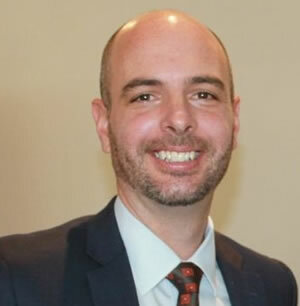 Michael Tyler, the NBNco Community Affairs Manager was on stage to give us the latest on the roll out. Michael started with a rundown on what the NBN is. 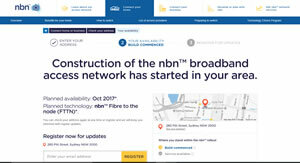 The NBN Co Ltd was setup as a Government business enterprise, Michael likened the NBN to Australia Post. The NBN has two shareholders, the Commonwealth Finance Minister and the Communications Minister. The purpose of the company is to design, build and operate a wholesale communication network. It is setup to replace the existing landline phone network with a fibre optic cable (FOC) giving Australia a high-speed communication system. The company runs the construction of the network through contractors and subcontractors. Access to the network is then on sold to retail service providers. Currently the rollout is around fifty percent completed. There are three main delivery systems - fixed line, wireless and satellite. The NBN has taken over those systems. Originally, the idea was to run fibre to the premises (FTTP) but with the change of government the NBN was required to look at all available networks and certain changes were made to the roll-out such as fibre to the node (FTTN) which delivered FOC to a relay box which then connects to the existing copper land line. The boxes will sit at the head of a street and the old copper line from the homes along the street will connect to it. This resulted in a mixed delivery with FTTP, FTTN and fibre to the building (FTTB) for strata and commercial buildings. The NBN also took over the pay TV cable networks, the Hybrid Coaxial cable, (HFC). This will deliver the NBN over existing Telstra cable systems, however the Optus cable was too costly to upgrade. This slide showed what the NBN will replace. It included the land line, the ADSL internet connections to ATMs, faxes, along with links to call systems like security alarms and medical alert systems. On a question about medical alarms, Michael spoke about how the NBN is working with those providers to see there is no loss of connection on the changeover. It is not intended to upgrade the copper wire inside homes, however for a fee of $600 you can ask for an estimate. Michael said the cost ranges between $2500 to $7500. If you like the estimate you can get a firm quote for $1000. If you don’t like the quote you lose the $1600 and you can’t get a private contractor to do an installation. We moved on to look at service and the limits on speed. The first factor is the end user’s equipment and that supplied by the internet provider or phone company. The second factor is the limits of the NBN cables and equipment. Once built the NBN sells capacity or bandwidth to the retailers. At this stage, we find problems when the retailers under estimate the demand versus supply. This causes congestion. Most ADSL users would have experienced slowdowns in speed due to congestion. A recent example being the demand on the server delivering the latest Game of Thrones videos. Michael said the NBN has a service guarantee of 25 mb/s download and 5 mb/s upload. That is the minimum speed the service is required to deliver. There are three speeds the NBN sells to retailers, 25 mb/s 50 mb/s and 100 mb/s. The old phone service will be replaced with a VOIP or voice over internet service. For business Michael suggested they may need to check older equipment and cabling to see if it is compatible with the NBN. As the rollout in an area is completed the NBN sends residents and landlords a letter informing them of the need to change to the NBN. The resident then has to transfer their old connection to an NBN connection. That is offered by the retail service providers such as Telstra, Optus and a plethora of other internet providers. Sometime after the completion the old connection will be switched off, so if no action is taken the resident will lose the phone service. Michael took us through a brief review of how you connect. 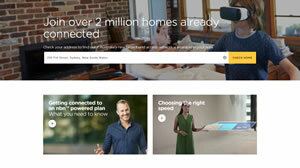 Go to the NBN site and click on connect home. As an example, we used the club address. And the result shows the state of play for the connection. We will have FTTN by October 2017 and building on the network has commenced. Once you have found the state of play you can register for updates. When the NBN is ready to go, as the slide suggests you contact your chosen provider. Once you chose a plan that suits your needs you should be all set to go before the date of the disconnection. 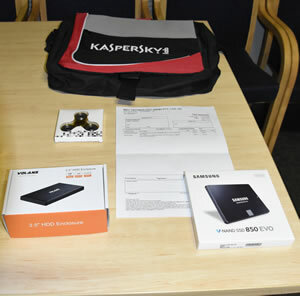 Tonight, we had a great prize of a 500 GB Samsung SSD along with several other prizes. Armourcard, Learn how to protect your digital wallet.